Real Canadian Superstore Ontario has a couple of great PC Optimum offers in store this weekend. On Saturday and Sunday only, get 7,500 PC Optimum points for every $25 spent on Hair Care, Oral Care, Skin Care, Personal Grooming, Feminine Hygiene, Cosmetics, and Joe Fresh Cosmetics. Be sure to save any personal offers for any of these sorts of products, so that you can get both sets of points, and don’t forget about the many coupons out there for these items! There is a second offer this weekend, for 15,000 PC Optimum points for every $50 spent on Home, Electronics, Toys, Kitchen Appliances, and Gadgets. If you are able to combine personal and in store offers you will get a total of 50% back on your purchase! For example you may have an offer of 200 points per dollar on toys. Save it for next week to use with the 15,000 when you spend $50 on Saturday and Sunday, and you will get 50% back for your toy purchase. 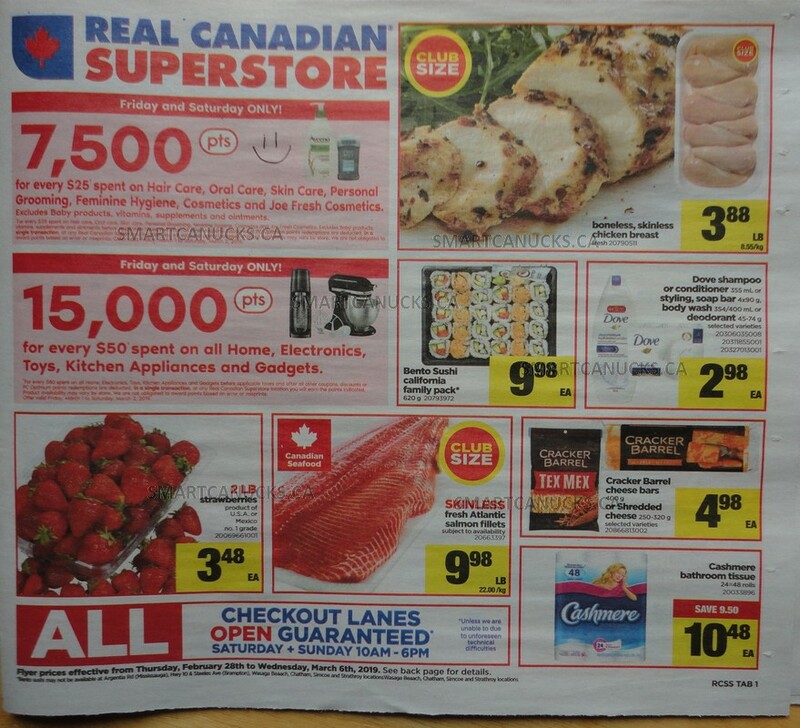 Click here to view the upcoming Real Canadian Superstore Ontario flyer on our forum. Banana Republic Canada Promotions: Save 40% Off Everything + an Extra 10% Off + More!